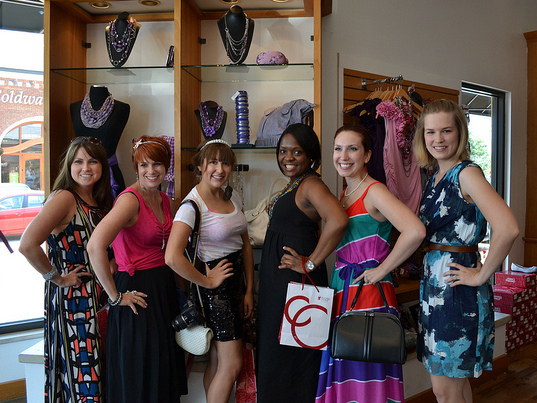 This past Saturday, the DFW bloggers met at Charming Charlie, a fashion accessories boutique, for some well-needed shopping and girl time. The event was put together by Julie of Rosy + Tart. This was my first time at Charming Charlie, and when I entered the door, it was like whoa! 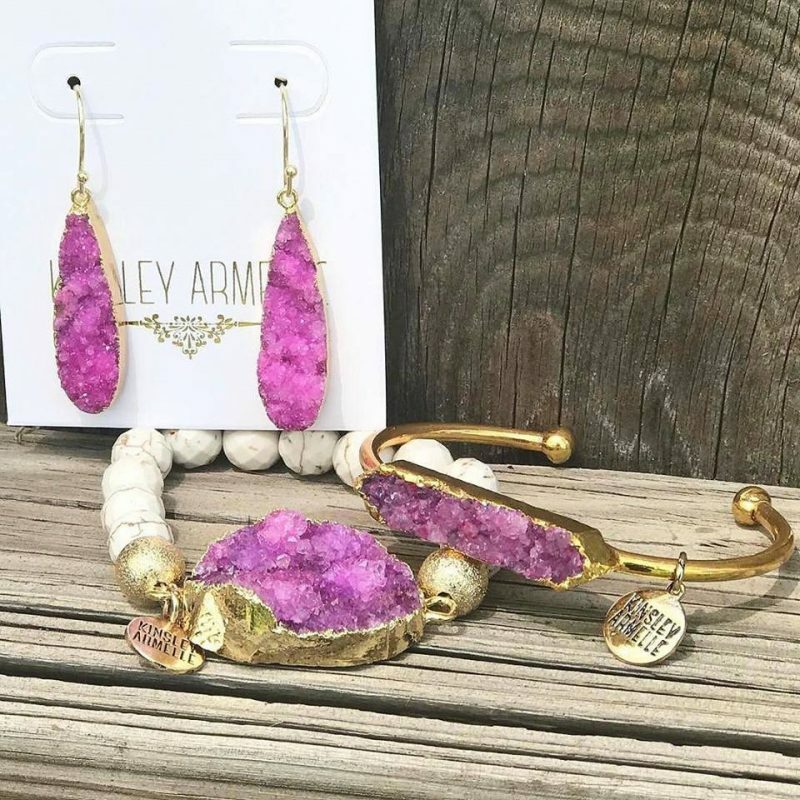 Endless amounts of jewelry and other accessories. Now, I’m the kind of girl that likes structure and organization when shopping…same style organized by size per rack…so this took me by surprise. My strategy…divide and conquer! Luckily for me, everything had a common theme and was organized by colour. Within each section, there were probably hundreds of items to discover, so I did an initial run through of the store then went through again in sections, bit by bit trying not to get overwhelmed. There were several items that tickled my fancy, but in the end, I got these two necklaces with matching earrings. After shopping, we walked across to Brick House Tavern & Tap for lunch. At this point, we were all pretty much starving, so it was unanimous that the mandatory outfit photo shoot would have to wait until after lunch. I had the crab cake sandwich with cajun fries and a glass of water…the water cancelled out the calories of the sandwich and fries…right??? We chatted and laughed and enjoyed the rest of the time. This crab cake was so good…. Previous Post It Was An Accident! great meetup pictures! i've been meaning to check out that store! You should check them out Kileen. They have lots of accessories to choose from! Thanks Kiah. We had a great time. I really love the necklaces I bought. I've worn the white one several times, and I'm even wearing it today.